Ray Dalio of Bridgewater Associates is taking his hedge fund into the relatively uncharted territory of Artificial Intelligence. A new unit of six people, including David Ferrucci, former team leader of International Business Machines Corp. (NYSE:IBM)’s engineers responsible for developing the cognitive system Watson, will start work on the project beginning next month, according to Bloomberg Business. The amalgamation of artificial intelligence and trading is not a novel idea, and last year’s performance of hedge funds that used trading algorithms considerably outstripped those that didn’t. They did this by profiting from the plunging oil prices, cashing in on arbitrage pricing, and also by purchasing government bonds that were deemed too risky by conventional traders. Besides using historical data, Bridgewater’s artificial-intelligence unit will create algorithms that will learn and adapt to new information, much like IBM’s Watson itself. Ray Dalio, who was also listed as one of the top 50 most influential people by Bloomberg Markets in 2011 and 2012, founded Bridgewater Associates in 1973. Since 2011, Dalio has taken the title of ‘Mentor’ for the fund and vacated the CEO position. With a market value of $12.53 billion, Bridgewater’s portfolio is 88.2% comprised of investments in the finance sector. Bridgewater’s performance this year has been considerably better than that of its peers. Its Pure Alpha II fund gained 8.3% in January, versus the 1.1% average return of other macro funds, according to Bloomberg. With that in mind, let’s consider the top new picks in Bridgewater’s equity portfolio in the fourth quarter. 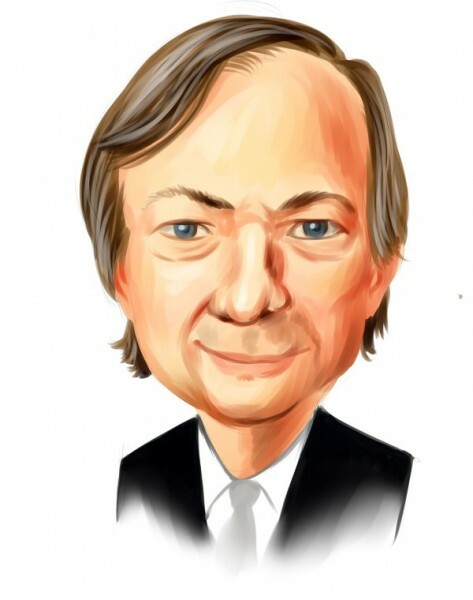 According to the latest 13F filing, Dalio’s top picks in this department were Potash Corp./Saskatchewan (USA) (NYSE:POT), United States Steel Corporation (NYSE:X) and Wynn Resorts, Limited (NASDAQ:WYNN). Potash Corp./Saskatchewan (USA) (NYSE:POT) was the largest of these newly initiated holdings, standing at 601,600 shares valued at $21.33 million. The stake constituted 0.17% of the fund’s portfolio value. Phill Gross and Robert Atchinson of Adage Capital Management also increased their stake in the company by 42% to 2.03 million shares valued at $71.99 million. Ken Griffin of Citadel Investment Group also upped his stake in the integrated fertilizer and related industrial and feed products company by 26% during the fourth quarter to 384,900 shares valued at $13.59 million. Although up only 2.8% over the last 52 weeks, Potash Corp./Saskatchewan (USA) (NYSE:POT)’s fourth quarter financial results, showing an Earnings per Share (EPS) of $0.49, which was an increase of 88% from the same quarter last year, point to a potential rise in the stock price being just around the corner. Moreover, Potash Corp. also benefited from expanding margins in the fourth quarter, as prices across all its operating segments: potash, nitrogen and phosphate increased, while the company brought its costs under control. Dalio purchased 570,000 shares of United States Steel Corporation (NYSE:X) valued at $15.24 million, forming 0.12% of Bridgewater’s portfolio in terms of value. Based on the data that we have at Insider Monkey on 737 hedge funds, 34 of these had an aggregate investment in the steel company of $540.67 million in the fourth quarter, a decrease from 36 funds with investments valued at $881.5 million a quarter earlier. Christopher A. Winham of Tide Point Capital was one such investor, who reduced his stake by 26% to 425,000 shares valued at $11.37 million. United States Steel Corporation (NYSE:X) is down nearly 13.1% year-to-date, despite fourth quarter financial results that beat estimates. The company reported an EPS of $1.83 which was considerably higher than the anticipated $0.89. The sliding steel prices, which are at five-year lows continue to be a cause for concern among investors.